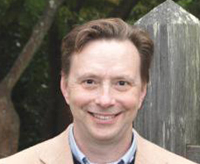 Notre Dame faculty member Stephen Dumont, a professor in the Department of Philosophy and a fellow of the Medieval Institute, has been awarded a fellowship from the National Endowment for the Humanities (NEH) for his book project, The Two Affections of the Will: From Anselm of Canterbury to John Duns Scotus. In his research Dumont is tracing the development of the “two affections” of will over a 200-year span, from Saint Anselm of Canterbury, a Benedictine monk, to medieval theologian and philosopher John Duns Scotus. “My project is to arrive at a more accurate notion of the two affections of the will in Scotus, correct what I see to be mistakes in its interpretation, and provide a history of this idea of two affections,” says Dumont. As Dumont explains, Anselm first proposed the two affections of the will in the 11th century, identifying within people two inclinations—or affections—one for justice and one for happiness. He saw free will as being composed of these two inclinations but also thought that the proclivity for justice was lost with original sin. Without divine help or grace, Anselm believed, man would simply pursue his own happiness. Scotus later argued that after the fall, humans did not, in fact, lose the inclination for justice, but rather claimed famously that it was the ‘innate’ freedom of the will itself. Faculty in Notre Dame’s College of Arts and Letters have had noteworthy success with NEH grants, receiving a total of 49 fellowships between 1999 and 2013—more than any other university in the country. After completing his one-year fellowship, Dumont will return to work on a longer-term research project funded by the NEH and housed in the College’s Medieval Institute. That team, led by Program of Liberal Studies Professor Kent Emery, Jr., aims to produce the first critical edition of a key work by Duns Scotus. “Just the main Parisian text we’re working on is in excess of one million words, which would be more than a lifetime project,” Dumont says. Originally published at al.nd.edu on February 21, 2013.